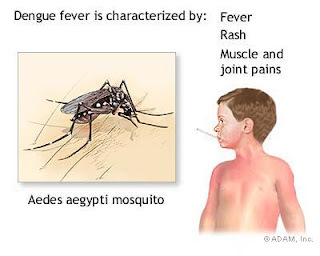 Regarding to the spread of dengue fever disease, this is the traditional herb that can cure dengue fever, although I have never try this herb, but worth a try, because there are no negative side effects. 1 handheld meniran trees (Phyllanthus niruri) . Approximately 5 - 6 trees (*) to grow in a humid, like leaves when the leaves is touched it will close itself, but behind that leaf there is a spots as size as a rice. 4. Meniran leaf to raise thrombosis. 5. Salt to raise blood pressure. All material washed clean, and (*) pounded, add a few of water and press to get those extract. Add a kitchen salt and mixed it, Drink it 3 times a day after meals. 500 ml herb enough for 3 times to drink, do not forget to provide a glass of drinking water. drunk after drinking the ingredient, because this ingredient taste bitter and salty is also quite smelly. Sick people will feel and very hungry and very thirsty after drinking the ingredient. 2 tablespoons angkak (such as rice or sticky rice colored red and usually available in the market or the supermarket in a China spices row). Boil it with 2 cups of water until boiled. After it getting cool and then drink it. Traditional Herbal Remedies for Your Baby!